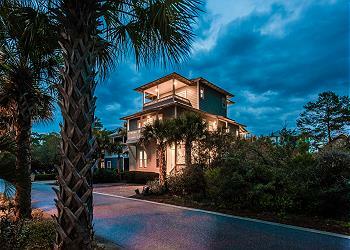 Seacrest Beach vacation rentals are a hidden paradise in a quiet beach community exposing you to endless beauty and unique charm. Drive down Scenic 30A to the big bend in the road that transports you to a retreat you have been anticipating. Centrally located between the elegant gardens and the Mediterranean flair of Alys Beach and the French Quarter feel of Rosemary Beach, Seacrest Beach, Florida vacation rentals are the vacation spot you will want to revisit year after year. 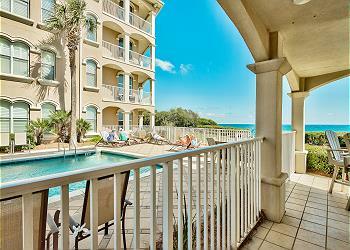 As a perfect beach community, Seacrest vacation rentals are surrounded by the famous 12,000 sq. ft. lagoon pool with fountains, waterfalls, lap pools, kiddie pools, lush landscaping and picnic areas for the entire family to enjoy. This feature gives the community a resort style touch without defeating a sweet escape to the luxurious beach. 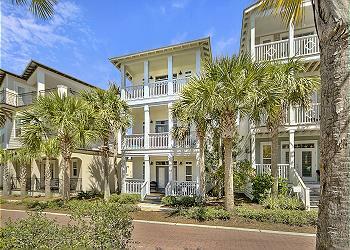 Seacrest, Florida vacation rentals are within a short walk to the beach, shops, and restaurants in Rosemary Beach. A complimentary beach shuttle will pick you up from any location within the community even though the beach is right across the street! An ideal spot for the perfect family retreat or adult getaway, Seacrest vacation rentals bring the tranquil charm your perfect vacation. 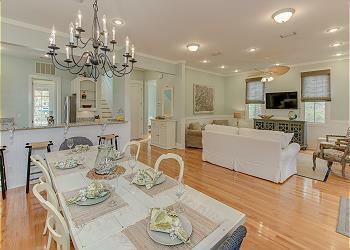 "Pura Vida" is a 4 bedroom, 4 bathroom home located just north of 30A in Seacrest Beach. 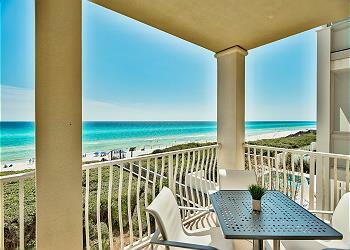 This vacation haven sleeps up to 13 and offers incredible views of the Gulf from the great balcony spaces. Call 360 Blue and book today! Completed in 2015, this luxurious home on Sandy Shores has all of the features for a fabulous, relaxing vacation. Just steps from the beach, this is a one of a kind home with enough bedrooms and living areas so even large groups feel relaxed and uncrowded. Spend your next beach getaway at 7939 E County Highway 30! 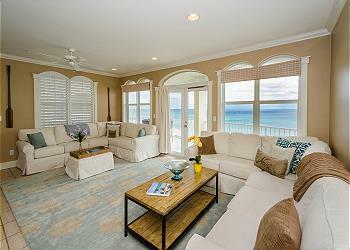 This beautiful newly renovated 6 bedroom home boasts posh interiors, Gulf views, and accommodations for 20! 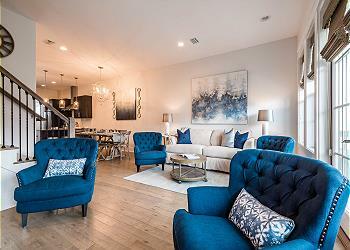 "Our Blue Beso" is a 4 bedroom, 2,650 sq. 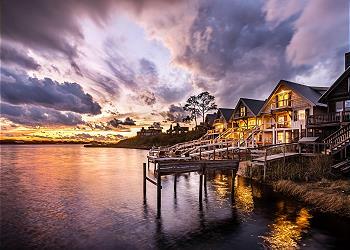 foot home nestled in Seacrest Beach. 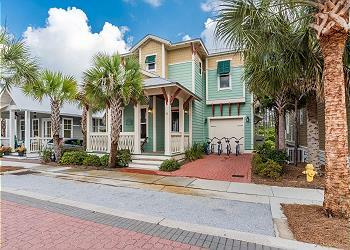 Spend your next beach vacation at “Bike Wreck Annie’s”, a beautifully furnished two story home tucked away in Seacrest Beach, FL. Enjoy the 12,000 sq. foot community pool as well as the shops and dining venues of Rosemary Beach. This 6 bed, 7 bath beachfront house offers sweeping panoramic views and pristine white sand beaches right outside your door! You'll love the recently renovated and professionally decorated interior with ample room for sleeping your crew of up to 26 people! 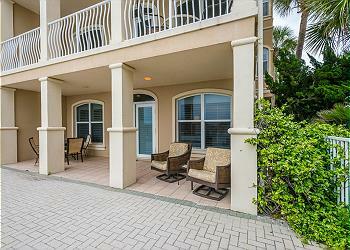 Beautifully, recently renovated Gulf front condo in Seacrest Beach! Amazing Views! Open concept kitchen, living and dining room with doors that lead out onto the Gulf Front balcony. Leave your worries behind and escape to this fabulous Monterey Condominium located on the Gulf of Mexico in Seacrest Beach. Unit C301 offers three bedrooms plus a hallway bunk, 3 bathrooms and unbeatable views! Welcome to "Mama K's!" This 4 bedroom beach haven is professionally decorated and offers fabulous accommodations for twelve guests. Located on a quiet street in Seacrest with private heated pool, new decor and multiple outdoor balcony spaces. Sleeps up to 16 guests! Check availibility and book your next stay online today! 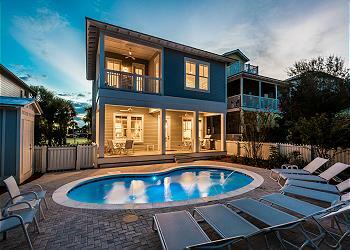 "Fantasea" is a brand new 4 bedroom/ 4.5 bathroom home in Seacrest Beach. Spend your next beach vacation at "A Good Distraction", a idyllic beach abode nestled in Seacrest Beach offering brand new amenities and a convenient walk to the beach. 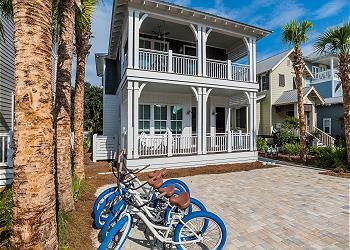 Cruise around on the bikes provided or head to the beach that is moments away. Relax and enjoy the coastal vibes when you stay at "Sandy Dreams", 91 Lifeguard Loop. This beautiful home boasts high end appliances, new interiors and accommodations for up to twelve guests. 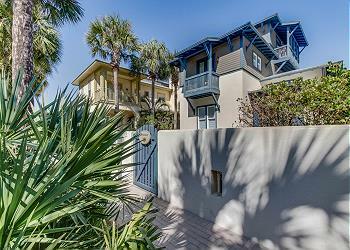 Take a short, palm tree-lined private walk to the beach. Use one of the home’s four beach cruiser bikes to discover of the charm and wonderful things that nearby Rosemary Beach has to offer. Enjoy a relaxing getaway at 183 Geoff Wilder Lane!